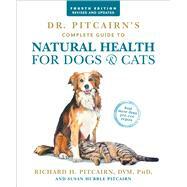 RICHARD H.PITCAIRN, DVM, PHD was a teacher and researcher in veterinary medicine at the University of Washington, worked at an SPCA clinic and had a holistic small animal practice for twenty years, focussing on nutrition and homeopathy. He has trained over 500 veterinarians, lectured widely and co-founded the Academy of Veterinary Homeopathy. SUSAN HUBBLE PITCAIRN, MS has had a lifelong interest in understanding and promoting natural, sustainable and conscious living and has teamed up with Dr. Pitcairn on this book since its first edition in 1981. She is also known for her inspirational poetry and artwork.